Wallpapers in a child’s bedroom play an important role in both inspiring and comforting your child. Have you tried cartoon wallpapers in your child’s bedroom? Make a difference in your child’s bedroom by visiting Petcarl Décor shop in Thika. Cartoon wallpapers are easy to install on walls and you can remove them from the wall without making damages. With both boys and girls wallpapers in stock, we are confident in being able to provide you with the best wallpapers for your kid’s bedroom. If you need to make your children’s bedroom to be more interesting and appealing, wallpaper is a good solution for that. Obtain unique wallpapers from our shop today to add a sense of amazement to your children’s bedroom. We are proud to bring to market kid’s wallpapers with different colors, patterns and styles. 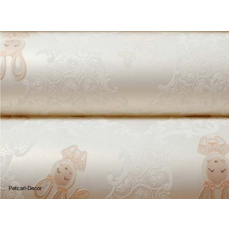 If you have any question about the kid’s wallpapers that we sell, just get in touch and we will help you.